Chao Yang, 20" x 4"
The Sun Seeker Fat Tad fills me with excitement and a sense of “go anywhere” adventure even without the electric motor systems that Electric Bike Technologies has added here… The fat tires, full suspension setup and soft adjustable seat make it feel like floating as you ride over grass mounds. In the video review above, one of the engineers (Alec) and I rode around a gravel parking lot, over some concrete blocks and across some hilly sections of grass occasionally catching air and skidding. It made me feel like a kid again, pushing the limits and grinning when we got away with a daring maneuver like riding on two wheels. 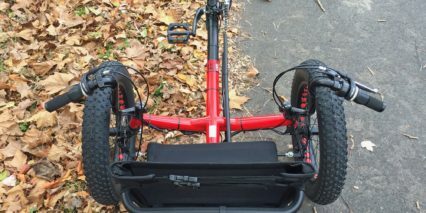 While the rear mounted motor and nine-pound battery pack make it rear-heavy (and there is a bit of frame flex and wheel tilt), the trike performed surprisingly well and felt solid. 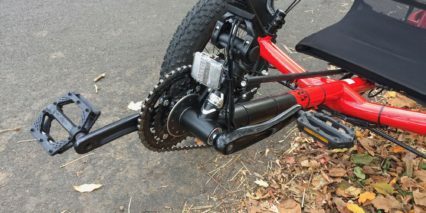 An oversized torque arm secures the hub motor on the left rear dropout while a 90-degree metal angle protects the derailleur and motor cable on the right. 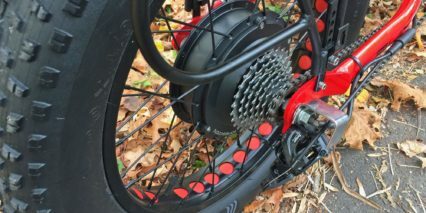 You get 24 gears to pedal with, and that’s very nice given the 80 lbs of weight you’re moving around (in addition to yourself) but the trigger throttle with instant power significantly helps when starting. 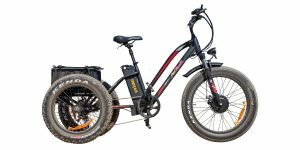 This is the kind of electric bike that you don’t have to pedal if you don’t want to… unless you’re ascending a steep hill starting from zero. 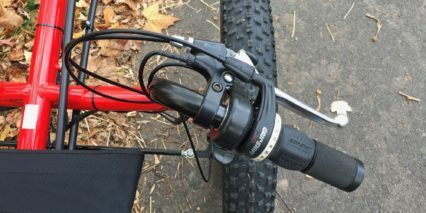 There are grip shifters on both bars, a button pad on the left to control your power and speed and a trigger throttle on the right. To me, it sort of feels like a fighter jet, just the way you’re sitting and situated. 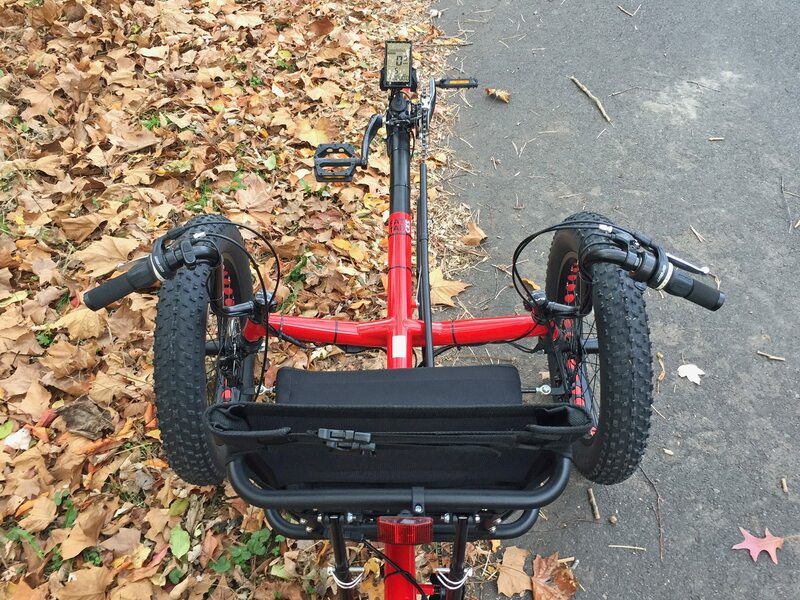 Many times with recumbents, I get a headache from the weight of my helmet adding to my head, straining my neck so I can’t enjoy riding around. 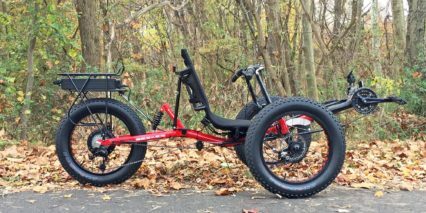 This is exacerbated by skinny tires and lack of suspension… so with the Fat Tad, the ride is much more comfortable and enjoyable. 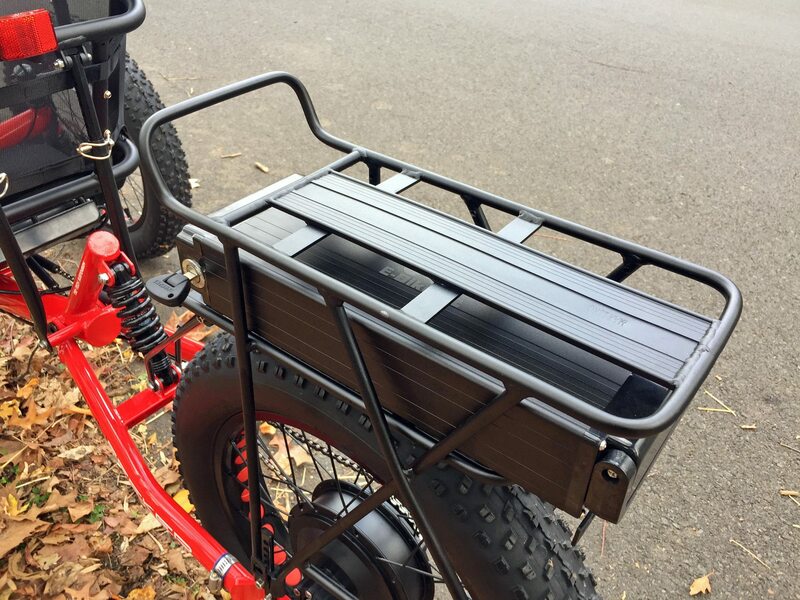 In some ways, it’s a large, heavy and inefficient platform but the battery and motor are powerful enough together that you overcome and end up go places and do things that other electric bikes and trikes just can’t… like sand, snow and soft Earth. 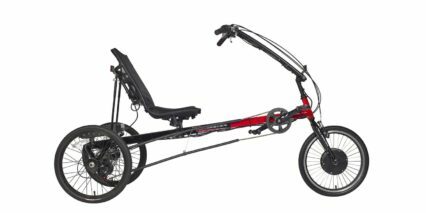 It’s also more stable at rest and the seat is higher so mounting (squatting down) didn’t agitate my sensitive knee the way some of the sportier lower models sometimes do. Sure, you might have to buy a trailer for your car to pull this thing around (check Harbor Freight for cheap ones) and yes, there’s a $350 shipping fee unless you can drive to Pennsylvania and pick it up, but the price isn’t ridiculous at ~$2,500 and you get a solid warranty backed by a company that has been in the ebike business since 2010. 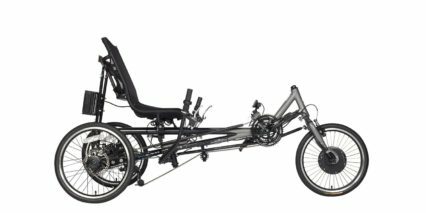 Powering this tadpole style recumbent electric trike is a rear-mounted internally geared hub motor putting out 500 to 1,000 watts at up to 45 Newton meters of torque. 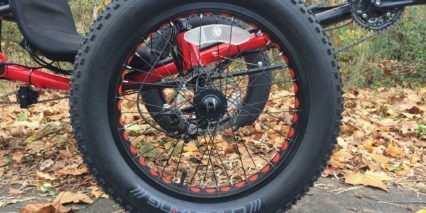 It’s zippy and you an hear a bit of electronic whirring in the video… but it’s not too pronounced given the large studded tires. I like that the motor is in the rear because you get more traction, especially with the battery pack and possibly some gear mounted above. 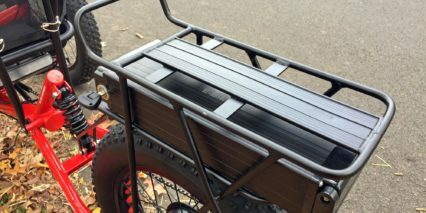 The rack is done about as well as it can be from my perspective but the front struts are longer and nearly 10 of your 55 lb max weight is taken by the battery. Honestly, given the way the rack sways and flexes a bit, I’m not sure I’d overload it with gear. Probably aim for pannier side bags to keep weight low and reduce some of the flex. I love that there are extra bottle cage bosses to spread out cargo and make it easier to reach and I like the adjustable mesh saddle. 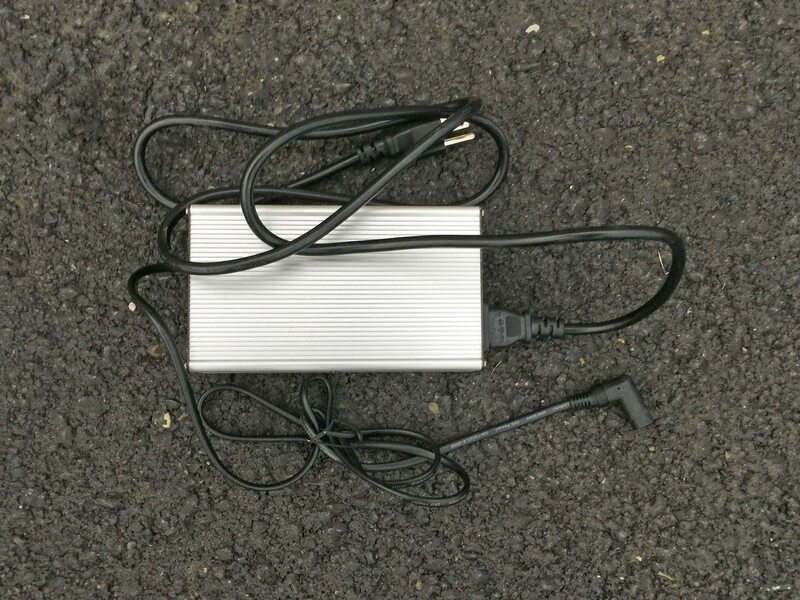 Powering the motor and LCD display is a sturdily packed 48 volt 10 amp hour battery pack. 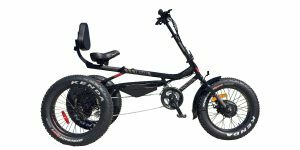 It’s filled with long lasting, lighter weight Lithium-ion cells but they aren’t the highest energy density or quality. 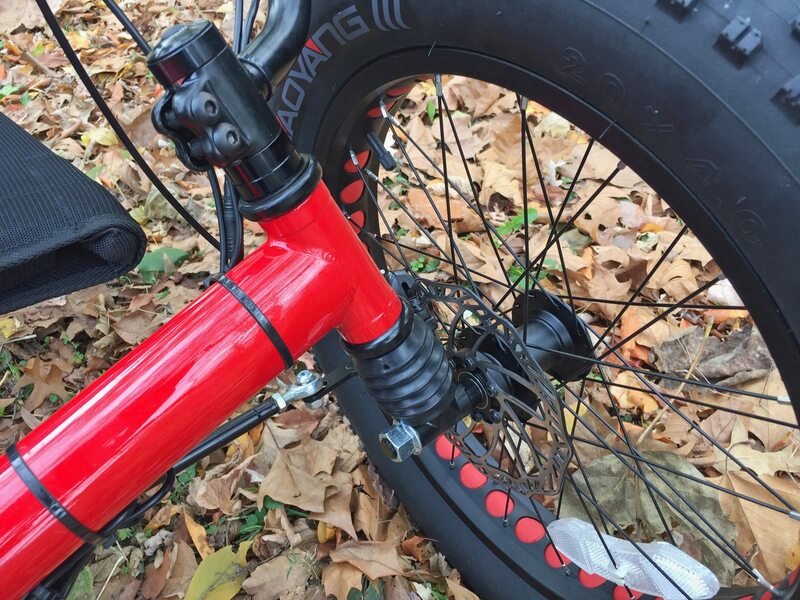 I don’t love that the key has to be left in the battery pack and turned to on in order to ride the bike with power. It’s a minor gripe but there’s reasoning behind it because it can be difficult to reach in this position when pannier bags are added, it can snag them and if you try to pull the pack out without removing the key it will collide with the support rods on the rack and could bend or break. Not perfect but not a huge price to pay for a more open-source design. You can replace this battery more easily and with third party options down the line. 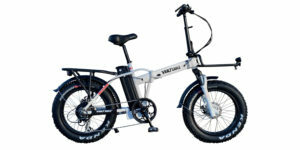 The Electric Bike Technologies company, which owns E-BikeKit.com sells a range of options, has a long history of supporting their products and have not locked them off to other brands. So in the future when batteries are lighter or cheaper or just higher capacity you can still use your trusty old platform. And the Fat Tad is made from sturdy Steel tubing that should last. 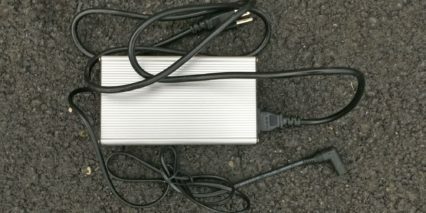 I guess the only other wish-list item I have regarding the battery is that it would power some lights or have a USB port for running portable electronics. It’s just a simpler design and that’s part of what keeps the price reasonable. 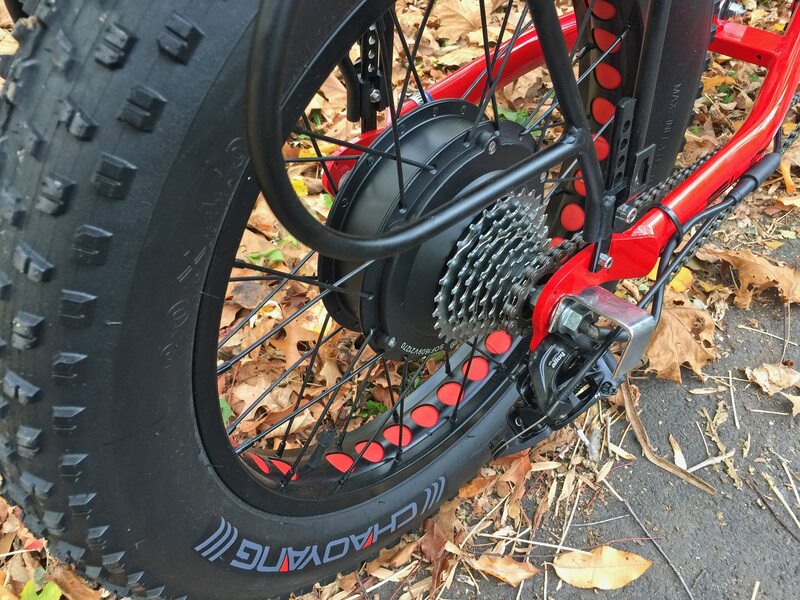 Activating the bike involves charging the battery (on or off the rack), inserting and turning the key, then pressing the power button on the control pad near the left grip. From here, the beautiful backlit LCD comes to life showing battery charge level, speed, power level and some ride stats. 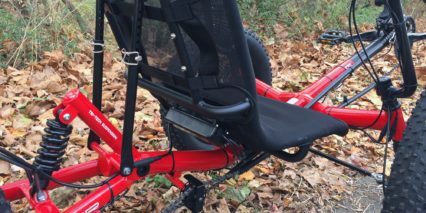 Depending on the level chosen, both pedal assist and throttle mode will be limited. This was a bit of a bummer to me because I sometimes ride in lower levels of assist then BOOST with the throttle to climb hills or catch up with friends. As it stands, you have to arrow up, up, up then boost. 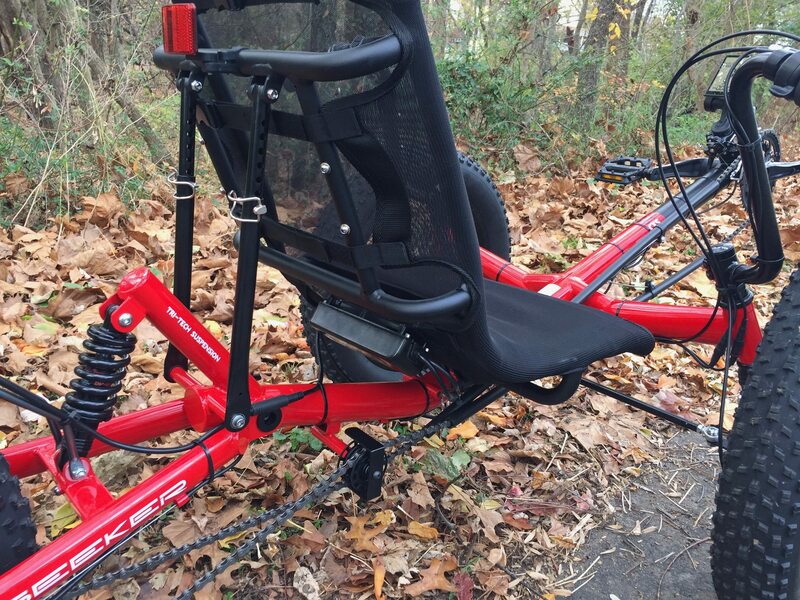 Now, the benefit of this moderated design is that it’s harder to get out of control and doesn’t require the fine hand motor skills to ease into the throttle at all times. You can set the power to level one or two and completely open the throttle without risk of getting out of control or going too fast. Depending on your courage to enter and explore the display, you can also adjust the power output, lower the maximum speed, turn off pedal assist or throttle and even map the power curve of a new battery so the display reads more accurately. 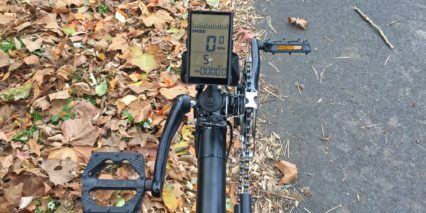 That’s pretty cool, very few ebike systems I’ve tried allow all of this. Thank you for another excellent review Court. 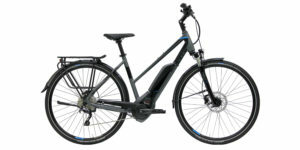 I own quite a few ebikes that all vary from one another quite a bit, but after watching your video of the test ride of this particular style and model, I have to say this might be the most fun. I can imagine just going full speed ahead on private property and doing all sorts of crazy maneuvers. 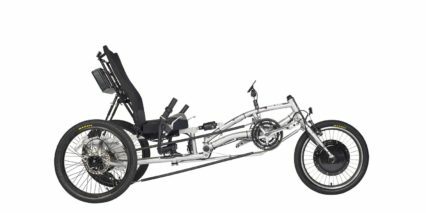 I could even see this as the future of getting a really interesting electric trike racing league going . 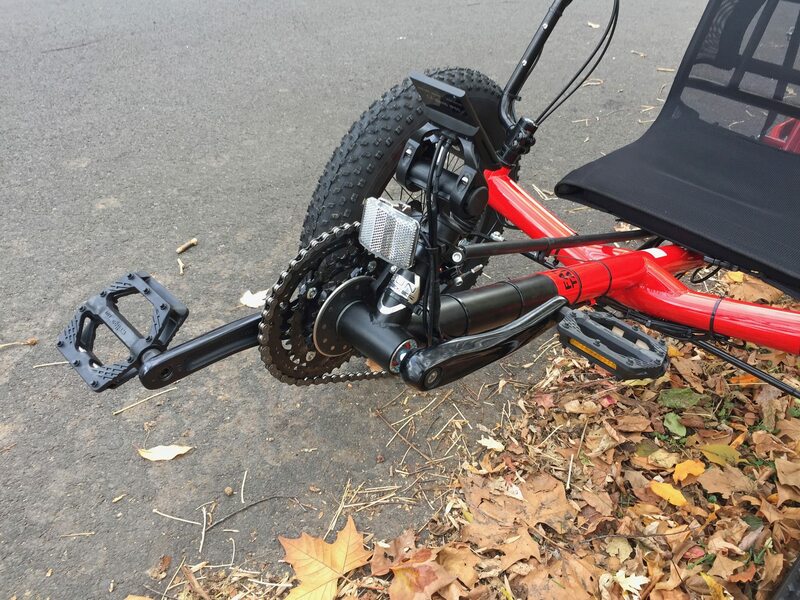 One complaint I have always had with my electric fat bikes is that you really have to be very careful when making sharp turns. This style looks like the turning part could now be the most fun. Thanks again and take care. I like to ride on trails and being in Florida most trails have sections of loose sand. 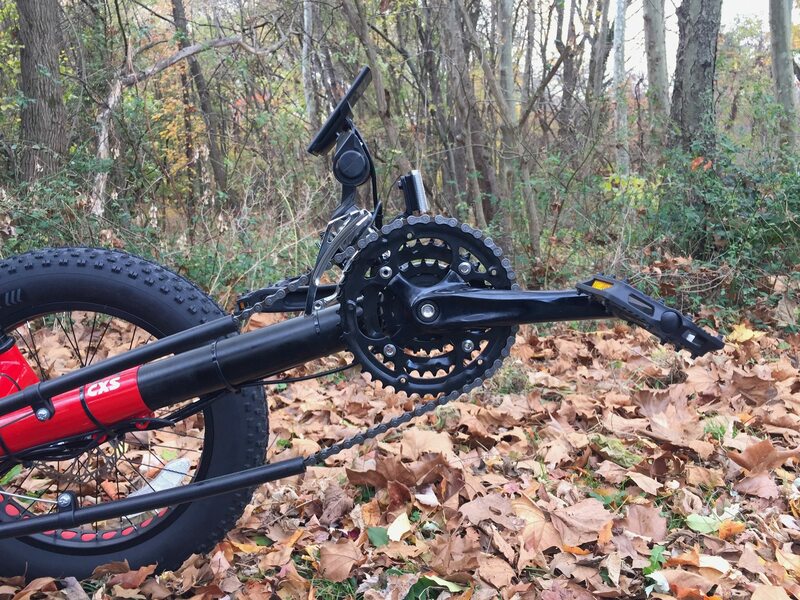 A normal two wheel fat bike would just slide out and I would end up walking and pushing. 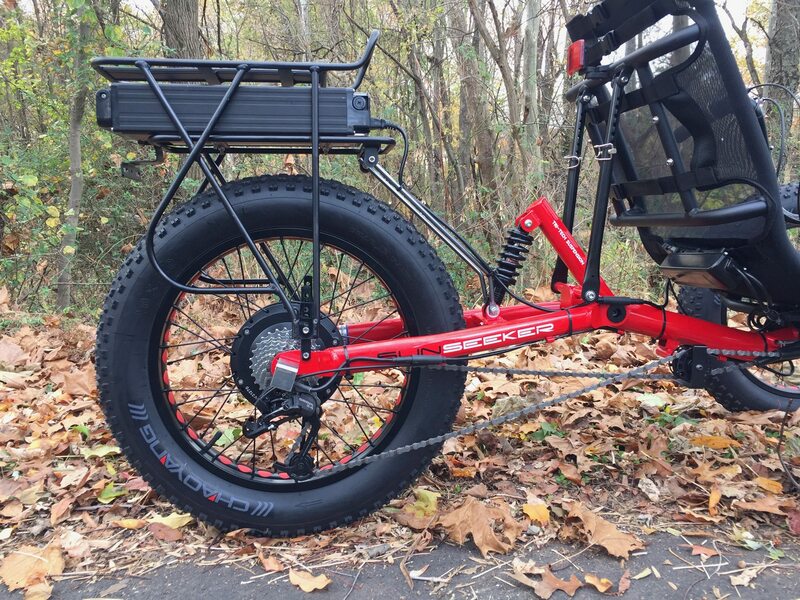 Would a fat tire three-wheeler like the Sub Seeker Tad Electric bike allow me to ride through these soft sections or would the rear tire just spin? How about hills? 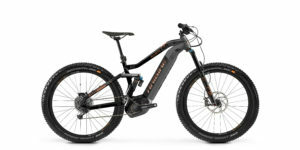 Can this bike start and stop on hills using electric power only or is human power required? 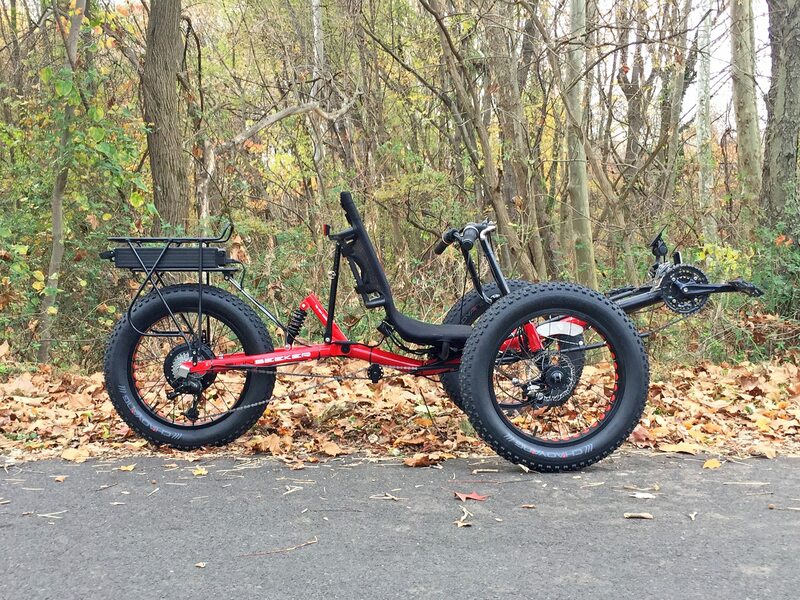 I would like to hear from anyone with experience with this three wheeler. Thanks in advance for your help. Hi Edward! 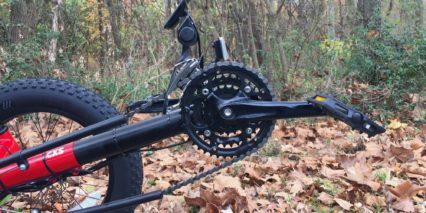 I’ve done some riding on sand with two-wheel fat bicycles and noticed a huge difference when deflating the tires to 5 PSI. It sounds really low, but this allowed the tire to grip and not sink in. It also helps with steering. Here’s an example of me riding in the sand on a beach in Mexico with some friends. 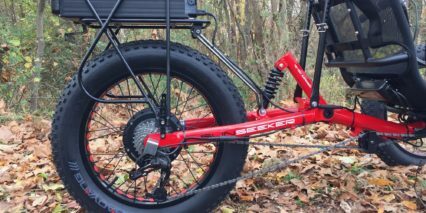 As for the Sun Seeker Fat Tad, I think it could handle sand if the tire pressure was lowered too… it would be more stable than a two-wheel bike but you might need to pedal along and help if the sand got soft and you started climbing a hill. 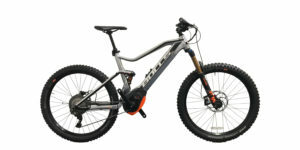 Most ebikes struggle when starting from zero and climbing or pushing through difficult terrain. I hope this feedback helps and do study the video so you can get your own insights. Love ALL you do… this IS the real revolution we should be focusing on! 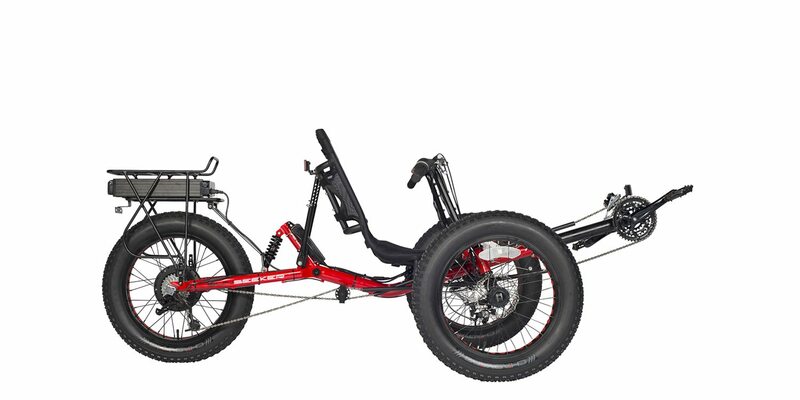 As I’ve just relocated to northern Idaho where it’s snowy I’ve been pouring over your fat bike reviews… It seems the recombinant would be best for my 67 year old bad knees but I’m torn between this and the Rad mini, for portability… Or just a normal fat bike with a sturdy hitch mounted bike rack! So many choices, and never using a bike before! 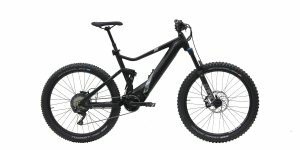 Primary use would b for improving my lower body leg strength and trips to the store… At these prices, versus the high-end bikes I could probably get both in the long run but which to choose first? Hi Dana, I’m glad you’re enjoying the site! I know it can be tough to decide when there are so many choices AND you don’t have access to try in person. 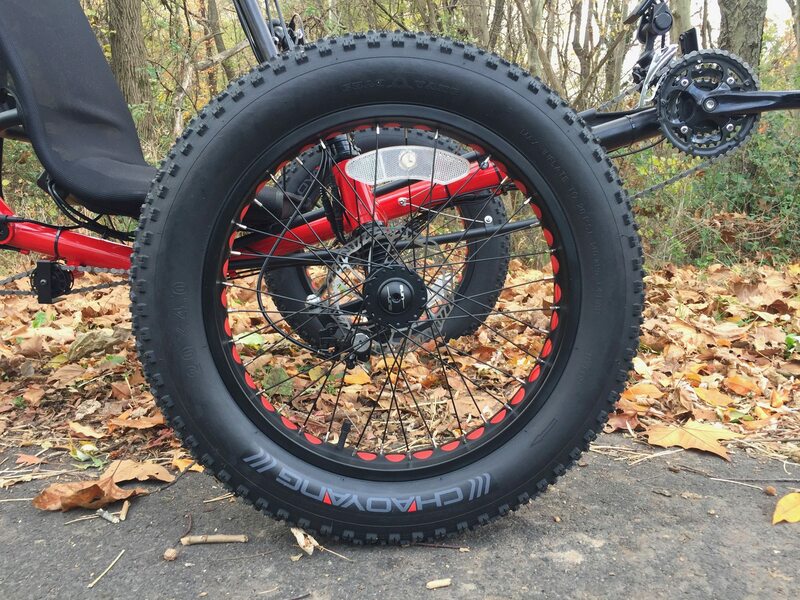 The RadMini is fairly stable because of the fat tires but those recumbents are cool too… just a lot heavier. Hi Terry! I’m not sure but this would be a great thing to ask and you can reach the folks at ElectricTrike.com on their contact page here, the phone number is listed near the top of the page. 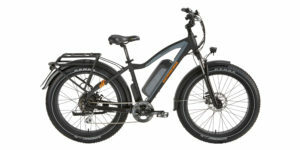 Many e-bikes companies are indeed now offering financing. Hi Tom! The suspension issue is perplexing, maybe yours is adjusted differently? 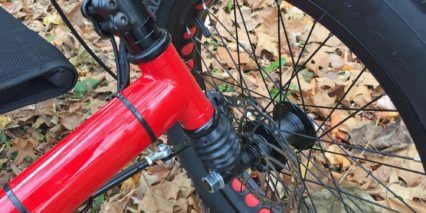 It’s difficult to say without being there in person, can you get it to move by pushing down (like if you get off the bike and push on it?) I hope Alex is also able to chime in because other than what was shared in this video, I don’t have much experience with the product. I’m glad you could at least use it to show what “should” be happening, even if yours is stuck for some reason? 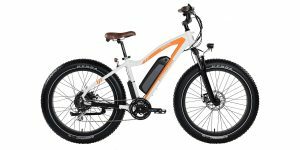 I follow your reviews on YouTube and the information that is provided is most helpful in developing a better understanding of the e-Bike world of options. 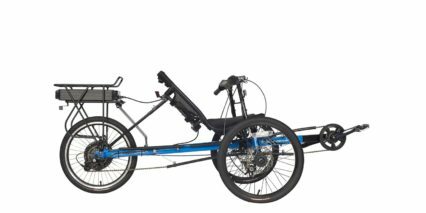 I am interested in the Sun Seeker line of e-Trikes as I am now dealing with a host of spinal issues as well as severe peripheral neuropathy which, when combined, significantly limit my mobility. 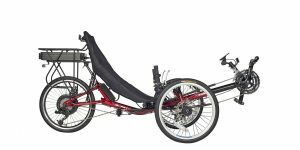 I need a heavy duty recumbent e-bike that would carry my 265 pounds and offer some degree of power assistance. I have looked over the entire line of Sun Seekers and I am still at a loss for which one would fit my needs. 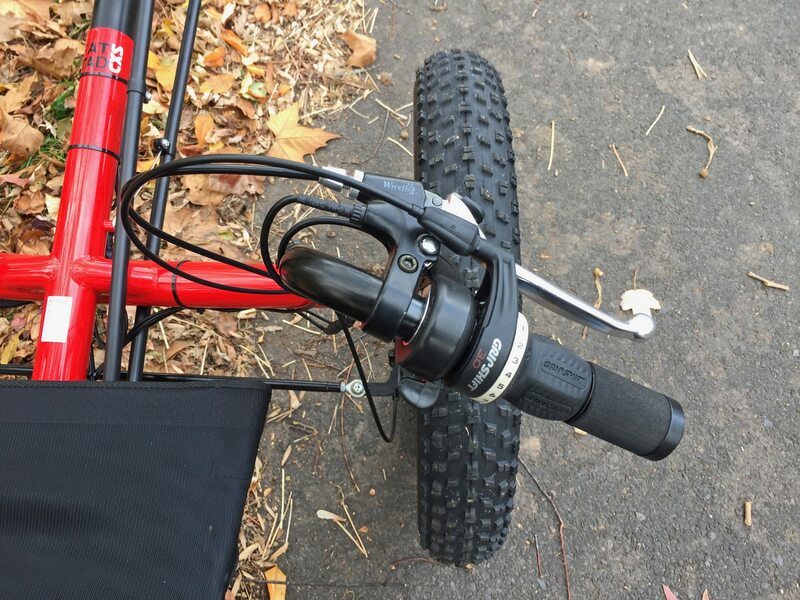 I do not think that I will be doing much off-road adventures and look mostly for getting out and about for some exercise in my local SF Bay Area community. Some hills and mostly rough public roads. Might you or your readers have any suggestions? Comments will be greatly appreciated. Hello from good old Germany. I have a 18 year old handicapped daughter. This Bike would be perfect for her. Would you also ship to Germany. It would need to be recharged 230V. How much would it cost for me I’m really interested. you list the weight of the electric fat tad @ 80# but their web site 57#? That’s quite a discrep, doncha think. 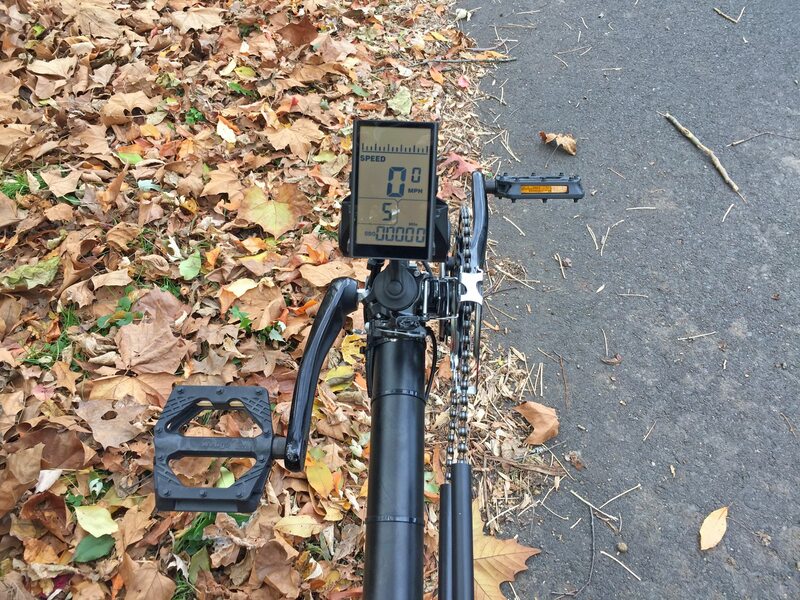 Yep… big difference there ;) I hand weigh all of the bikes I review, so the bike you see on film is what I weighed and I used the same hand scale I use for all of the reviews here. I’m quite sure that the bike is heavier than 57lbs just based on what I weigh normal 2-wheel bikes at… many of them are ~55lbs. I hope this feedback helps reassure you of the actual weight and what to expect if you purchase one for yourself.